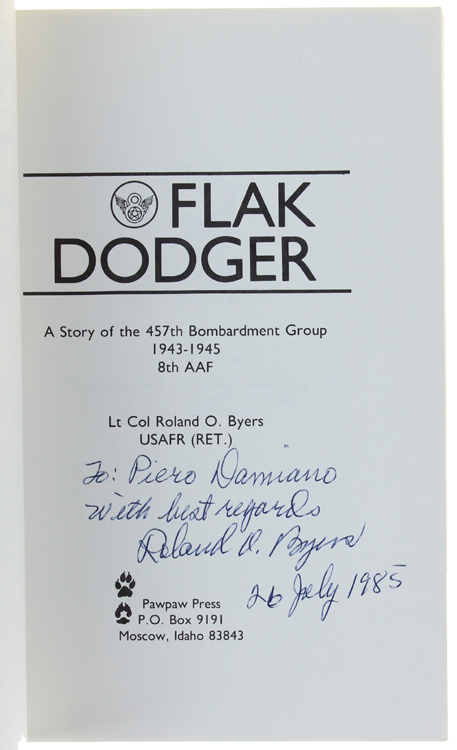 Titolo: FLAK DODGER. 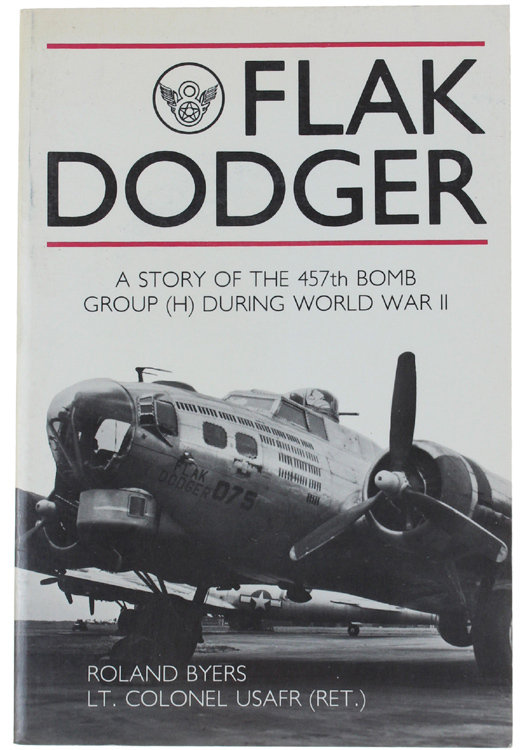 A Story of the 457th Bomb Group (H) During World War II. Edizione: Moscow, Pawpaw Press, 1985. 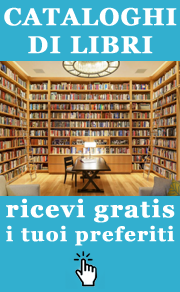 Descrizione: In 8° 260 pp. Dedication signed by the Author. B/w illustrations. Paperback, as new. 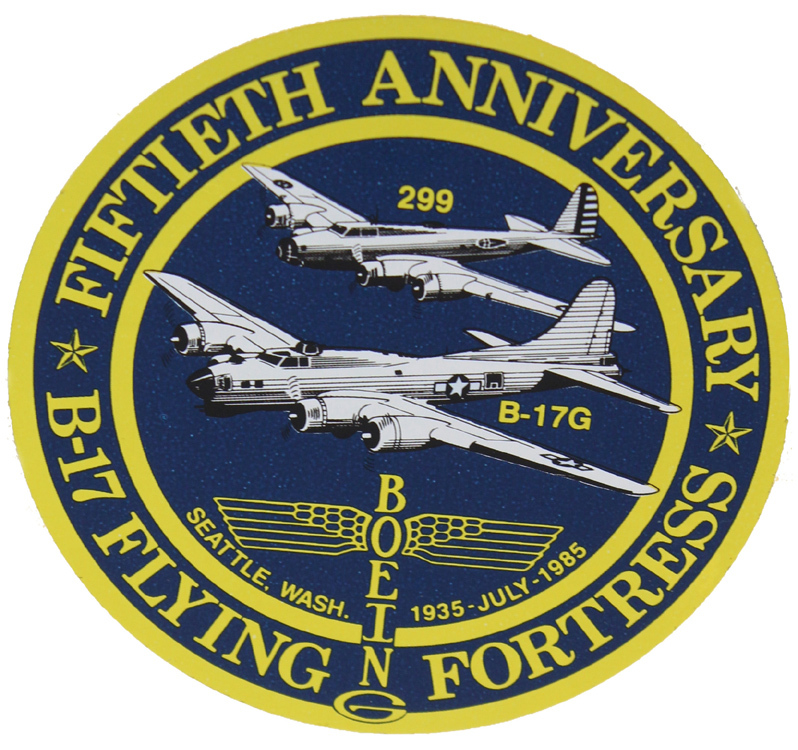 Joined: "B-17 55° anniversary" sticker, NEW.